“The film premieres May 5 on PBS’ “Independent Lens” and explores not only the rise and fall of Blair but also the extensive effect the incident had on the world of journalism.” –Greg Braxton, ambulance Los Angeles Times Read more here. Read The Globe and Mail’s interview with Samantha Grant here. The Toronto Star reviews AFT for Doc Soup screening! The Toronto Star calls the film “a thorough account of a terrible time in journalism serves as a reminder to everyone in the media to never put expediency ahead of professionalism.” Go here to read more. Variety reviews ‘A Fragile Trust’! Variety calls A Fragile Trust a “well-balanced documentary” that “raises tough questions about journalistic ethics and personal responsibility in the digital era.” Read more here! St. Louis Post-Dispatch calls AFT a “first-rate documentary”! “It’s a thorough and balanced examination of a gifted but unstable young man chasing highs of various kinds no matter the cost.” –St. Louis Post Dispatch Read the whole review here. Here’s what they had to say: “By the end of the documentary, buy information pills Grant has laid out all the pieces in an engaging, web comprehensive way, neither absolving or sympathizing with Blair nor seeking to disregard the culpability of others in what happened.” To read the full review, go here. HuffPost Live Interviews AFT director Samantha Grant! HuffPost Live has Samantha Grant on the show to talk about A Fragile Trust. Go here to see the interview! 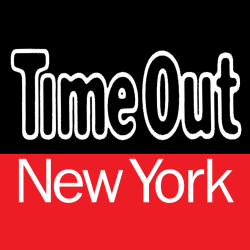 TimeOut NY released it’s recommendations for DOC NYC film this week. And they say, search go see A Fragile Trust! “One of the Gray Lady’s most embarrassing moments comes to complex life in this tough-minded analysis that explores issues of race, affirmative action and institutional inertia. Director Samantha Grant scores an interview with Blair himself, ready to go deeper into his own deception,” Joshua Rothkopf writes. They also recommend seeing The Unknown Known, Is the Man Who is Tall Happy?, and Kink, among others. See TimeOut’s complete list here. Solar describes AFT as a “Fast-paced, visually interesting documentary.” Read more here. Or better yet, come out and see for yourselves! Join Grant at the NY premiere at DOC NYC next week. 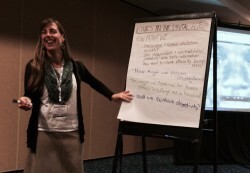 Grant followed a viewing of her film, which has been screening at festivals around the world this year, with a brainstorming session on ways for journalists to improve quality of reporting and avoid ethical missteps. Poynter discusses Grant’s ONA discussion in fuller detail on Poynter. You can also read about the discussion on Gannett.